Mother who injected infant with insulin charged with five counts of attacking a minor, one count of abusing a minor. The Jerusalem mother who injected her children with insulin. 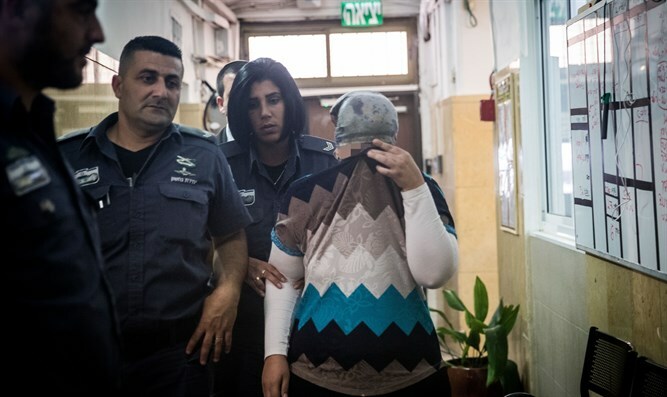 A 30-year-old woman was indicted Sunday by the Jerusalem District Court after she was caught injecting her 1-year-old son with insulin in order to receive more payouts from the National Insurance Institute (NII). The mother, who has ten children, was arrested last month on suspicion of of injecting insulin into five of her children and presenting them as diabetic patients in order to receive payments from the National Insurance Institute. The family received a total of NIS 15,000 ($4,110) from NII each month, for a total of NIS 800,000 ($218,543) over a period of several years. Later reports added that she beat her children. According to the indictment, the infant was born prematurely and suffers from several medical issues, including developmental delays and brain hemorrhage. He was hospitalized at Shaare Zedek Medical Center in May and underwent an operation after his mother said he suffered from seizures. The mother and son were thereafter released from the hospital and sent to ALYN Children's Hospital, where the mother was taught how to care for her son's tracheotomy. Several days later, his mother brought him to the family's doctor, claiming that during their stay at ALYN, her son's glucose level dropped dramatically. The doctor told her to check her son's glucose level, and to to the emergency room if he became hypoglycemic. The next day the mother brought her son to Shaare Zedek Medical Center, where he was found to suffer from hypoglycemia, and was at risk of neurological damage. He was therefore hospitalized again. This time, his mother gave him insulin shots, causing his sugar levels to drop dangerously. She then bit a hole in her son's IV line. The mother has been charged with abusing a minor or helpless individual in her care, as well as five counts of attacking a minor or other helpless individual. The infant, who suffered irreversible brain damage, has been transferred for respiratory rehabilitation. The prosecutor has requested that the mother's arrest be extended until the completion of legal proceedings against her.